Traditionally, Stellenbosch has been the town of wineries and wealthy students. There is much more to experience though, as Ishay Govender-Ypma discovered: Stellenbosch beyond the vineyards. For Business Day 5 Dec 2014. Through the tight alleyways, single file we follow Thembi Koli, tour guide and Kayamandi local; rain sloshes off the makeshift roofs into the slippery footpaths forming mud puddles between shacks and shops. We gather closely under the shelter of a small spaza shop, and sip on banana-flavoured amaRhewu (mageu) with a bunch of local children, all smiles and giggles at the large camera carried by a visitor from the Netherlands. For many on this tour, it’s the first time they’ve been this intimately involved in life within a township. For many, Stellenbosch is synonymous with the wine industry. Perhaps second to the acclaimed wine estates and vineyards, it is known as a university town, with a significant bracket of the students attending the sprawling campus, representing the wealthier sector. In recent years there has been a movement to give visitors an experience of other aspects of this diverse town from history and art to food and culture – tours such as the one with Koli. 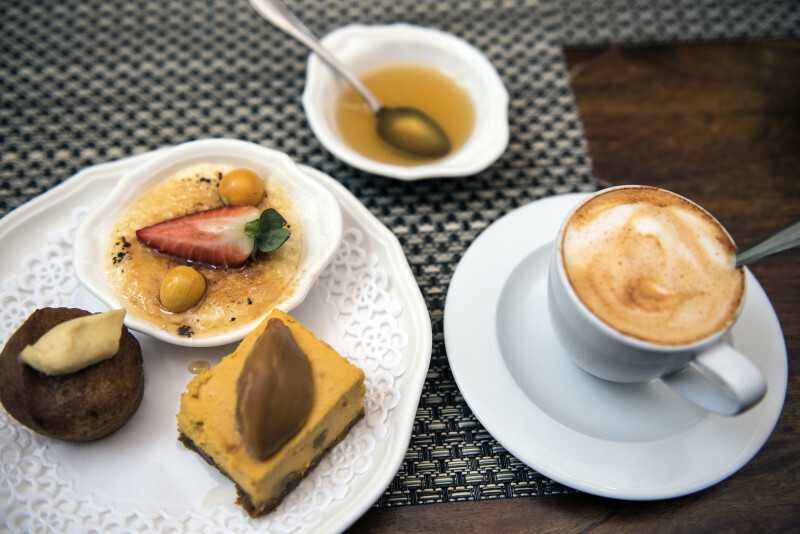 Five minutes from Bird Street, which sits smack bang in the centre and is dotted with boutiques, pastry shops and galleries, is the township of Kayamandi. Hanli Fourie, a language teacher who has run Bites and Sites tours for the past four years, presenting culinary and historical tours of the town, collaborates with Koli on cultural immersion tours to Kayamandi. “I suspect Thembi actually knows every single person in her township, which makes her the perfect guide. Our aim is to showcase and support some of the amazing artists, entrepreneurs and other strong role models who live in Kayamandi,” says Fourie. Entrepreneurs like Jimmy Datini, a potter, who patiently teaches children on the tour how to operate the wheel, and charismatic jewellery designer Portia Mpangwa, welcome tourists into their modest studios and homes, explaining their craft and sharing their stories. They make a few sales too with handmade, well-priced items. The aim of these tours is to facilitate both interest and financial contributions inwards. At Mama Swartbooi’s house, we partake in vetkoek with morogo and large glasses of homemade ginger beer. She tells us about her father-in-law after whom the street she lives in has been named, and of her years working in the kitchen in a convent. Foreign students on volunteer programmes have been living in her home over the last five years, contributing to the family’s income. No local students have come to stay yet, she says. Koli explains that visitors’ first reaction is often shock at the township living conditions but once she explains that the purpose of the tour is to educate visitors about the local culture and welcome them into a different lifestyle, they invariably relax and enjoy themselves. “Through this experience, we also want to break down the pre-conceived ideas that many South Africans have about townships and eliminate the barriers of fear. This is one way we can build bridges,” says Fourie of the township tours and her aim to introduce it to local high school children. Fourie takes clients on historical walks of the oak-lined town, tracing Stellenbosch’s past to the time of the first governor, Simon Van der Stel in 1679, when he established the district. You’ll visit the oldest restored townhouse in South Africa, the tallest tree, monitor an irrigation system from the 1700s, a marvel of Dutch engineering that still supplies the furrows in the streets, and learn about the Cape Dutch “alphabet houses”. For anyone who’s just stopped in the town to drop off students or have a business meeting, you’ll witness textbook school history leaping out at you in real life, on this tour. Fourie explains that in recent years the town has become sought-after for its high culinary standards, being home to many food artisans and top restaurants. “I think the synergy between local chefs and wine makers has been instrumental in drawing attention to the foodie revolution in Stellenbosch. It’s a superb food destination – even without the wine. 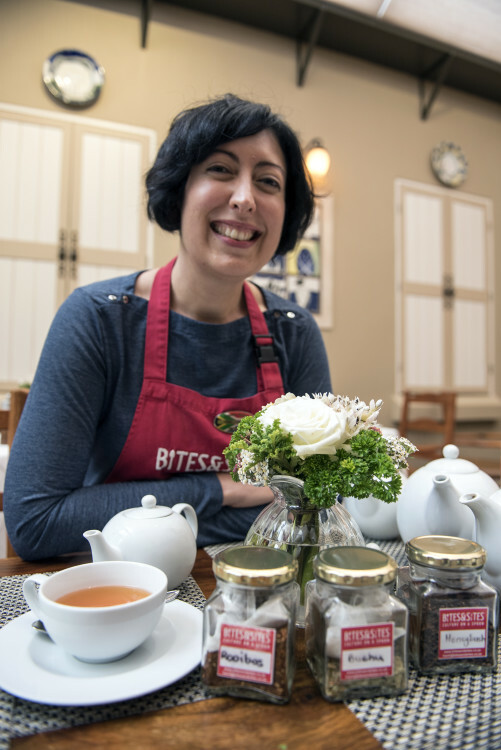 Stellenbosch University has been home to a well-respected and strong arts faculty for decades.” These elements, she explains tally up to present a creative, playful, vibrant town. Fourie’s culinary tours ushers visitors through the five main historical streets in town. And if you’d like a glass of Stellenbosch’s finest wines, there are several excellent wine bars and shops along the way. In Stellenbosch town centre I sit on a bench in the company of an elegant ballerina carrying an umbrella. The ballerina is a life-size sculpture, part of the Kom Sit functional art exhibition. Dirkie Offringa, curator of the exhibition explains that the Stellenbosch Outdoor Sculpture Trust facilitates projects such as this one to stimulate public engagement, encouraging awareness of the interplay between art, architecture and communal spaces. The benches form part of the town’s World Design Capital 2014 contribution, towards more livable towns that involve residents and visitors in a dialogue about the multi-faceted nature of art, design and functionality. 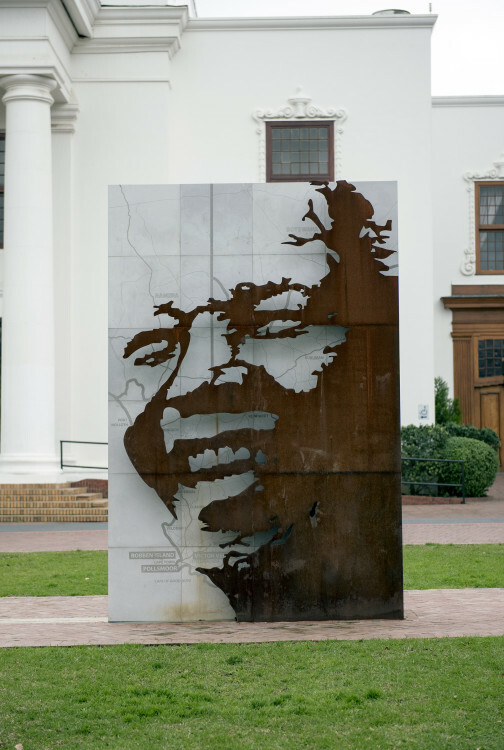 Stellenbosch isn’t new to hosting art exhibitions within the public sphere. In 2008 Strijdom van der Merwe, a ‘land artist’ who uses the natural elements of his surroundings to create his pieces, wrapped the trunks of 393 trees in Dorp street with red fabric. Several successful exhibitions including one by sculptor Dylan Lewis and large metalwork sculptures interspersed through the centre of town have succeeded the attention-grabbing red trees. 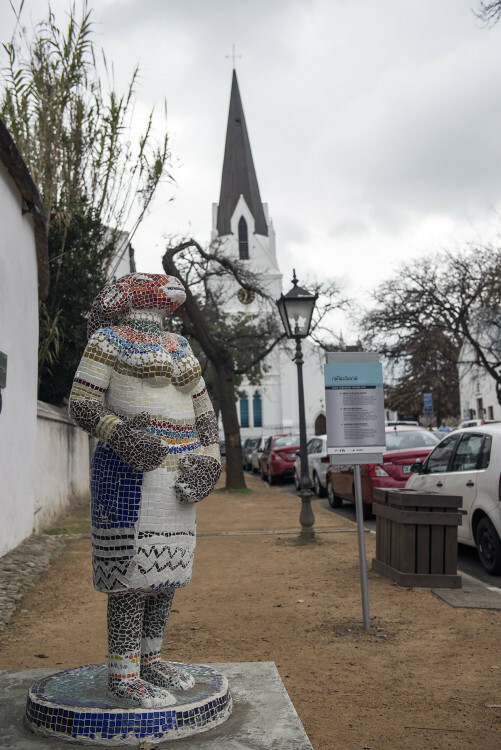 With the cooperation of the Stellenbosch Municipality, the trust places pieces by some of South Africa’s finest contemporary sculptors at approved locations in the historic town, inviting the public to enjoy the works outside the confines of a gallery that isn’t always an inclusive experience. There aren’t many activities that locals living in or close to a town as small as Stellenbosch may not have heard of. But little surprises await in the town known for innovation. Tuks Tuks, or auto rickshaws are becoming popular in Stellenbosch for convenience, low environmental impact and the reasonable fares. Take a scenic town ride or the fun winelands tour. If you prefer more freedom, rent a bike from Adventure Shop and head out on an easy cycling route into the Jonkershoek Valley and its peaceful nature reserve. Fourie suggests you pick up some local pastries for a picnic in the mountains before you leave town. The Amazink Theatre Restaurant in Kayamandi has been running for years and still provides a jolly, interactive experience of song, dance and dinner. In the Cloetesville community, local actors Chommiez take visitors on heritage experiences, and theirs comprises a boisterous formula known as “touch of colour” tours. Fourie recommends that no visitor miss the town’s gem – the Village museum. It provides a fascinating glimpse into the different eras spanning the town’s past. Tracing the progress of Stellenbosch from a traditional Dutch outpost along the Eerste River, to the offbeat centre for creative expression it has evolved into is deeply satisfying, even without the wine.